Get your hands dirty in the laboratory and in the field while you study all aspects of living things and their processes. You’ll gain an excellent foundation in all fields of biology while learning the practical skills of a working biologist. Within the Biology program, you can choose to focus on a number of subject areas, including ecology, cell and developmental biology, and physiology. Biology is the study of all aspects of living things and their processes, including plants, animals and insects, and their relationships to their environment. The Biology program on UBC’s Okanagan campus offers you a wide variety of practical experience in laboratory and field work, the chance to leverage computers, and the opportunity to develop your oral and written communication skills. There are ample opportunities for field work in the Biology program’s course offerings, including Limnology, Field Ornithology, Flora of British Columbia, and more. Two senior-level course options allow you to conduct independent research projects in the field. Take your studies abroad with the Go Global program and the Exchange and Research Abroad program, or participate in original research – either your own or a professor’s in your field. 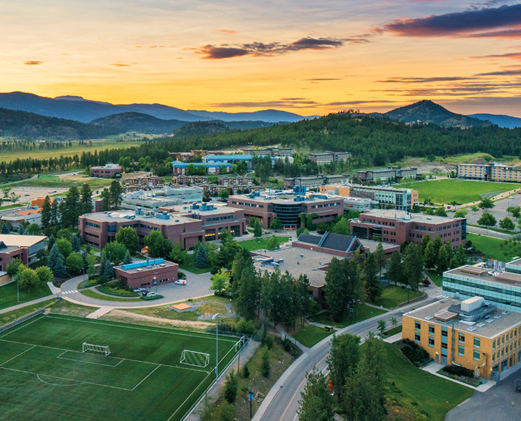 UBC’s Okanagan campus is home to a number of world-class research facilities, including the Biodiversity and Landscape Ecology Research Facility, the Centre for Microbiome and Inflammatory Research, and the Okanagan Institute for Biodiversity, Resilience, and Ecosystem Services (BRAES). BRAES is a consortium of UBC faculty members and students, collaborators and partner organizations working together to advance research and teaching in conservation and ecology. Physiological adaptations of plants and animals to their environments. Structure/function relationships of human organ systems. Recommended for Arts or Education students, in conjunction with BIOL 117. BIOL 117/122 cannot be used in place of BIOL 116/125 for those degree programs that require BIOL 116/125. Credit will be granted for either BIOL 117/122 or BIOL 116/125. Evolutionary theory and its underlying genetic basis; population, community, ecosystem, and behavioural ecology. Specific case studies and current environmental concerns. Recommended for Arts or Education students, in conjunction with BIOL 122. BIOL 117/122 cannot be used in place of BIOL 116/125 for those degree programs that require BIOL 116/125. Introduction to core biology concepts employing an Aboriginal perspective of cyclical analysis and synthesis. Scientific method, energy acquisition, cell structure and function, genetics, evolution and diversity. degree. Continuation and completion of the comprehensive survey of human structures and functions started in BIOL 131. Introduction to the invertebrate phyla. Agents of infectious disease in humans. Physiology and structure, mechanisms ofpathogenesis, immunological response, clinical disease caused, laboratorydiagnosis, treatment, prevention, and control. Properties and uses of antimicrobial agents, resistance, vaccines, and bioterrorism. Fundamental processes underlying adaptive evolution, speciation, and extinction. Methods used to reconstruct the evolutionary histories of, and relationships among, groups of organisms. Factors determining the distribution and abundance of organisms. Competition, predation, and an exploration of processes that promote species coexistence and lead to the maintenance of species diversity. Mendelian genetics, gene expression, recombination, mutation, evolution, and molecular techniques. Examples will be drawn from both eukaryotic and prokaryotic systems. Introduction to major groups of organisms in inland waters. Cyanobacteria, algae, plants, and animals; their ecology and evolution; and their use in biomonitoring. The cell is the fundamental unit of life. This course delineates a number of shared biological processes conducted at the cellular level and similar across a wide range of organisms (e.g., acquisition of usable energy, energy storage, transport processes, irritability, and contractability). Introduction to concepts of immunology. Immune system, innate immunity and complement, adaptive immunity, cellular and humoral immune response, cytokines, T-cell activation, the major histocompatibility complex, antibody structure and genetics, immune system and cancer, AIDS, autoimmunity, hypersensitivity. Introduction to the study of plant and animal populations. Demography, single species growth, competition, predation, and natural selection. Independent research projects in the field, while considering application of methods to solving problems in ecology. Study design, hypothesis development, primary data collection, analysis, and interpretation; formal manuscripts for publication. Scientific basis of conservation biology. Analysis of demographic data, population models, and extinction risks. Examine complex habitat, landscape, genetic, and trophic interactions that affect populations. Conservation approaches including habitat planning, reserve design, surrogacy, and policy. Spatial patterns in ecology, exploring ways to describe variation and mechanisms that give rise to patterns. Dispersal, metapopulation and source-sink dynamics, connectivity and fragmentation, heterogeneity, disturbance, edges, and dynamics of geographical ranges. Concepts in empirical and theoretical population genetics. Primary processes shaping genetic variation within and among populations. Methodologies for measuring genetic variation in nature, and practical applications of population genetic principles to genomics, molecular evolution, human evolution, and conservation biology. UBC's Okanagan campus is renowned for its research opportunities and access to professors. 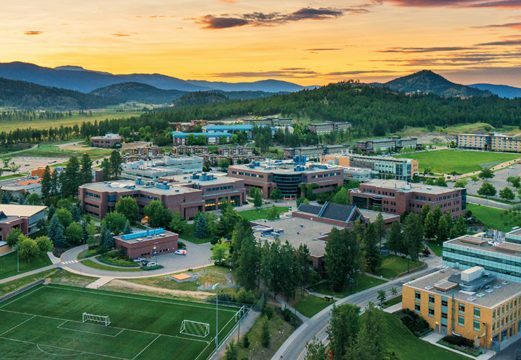 On a tight-knit campus like the Okanagan’s, you’ll be able to work closely with award-winning faculty and make meaningful connections with your peers. Professors are collaborating with student researchers on cutting-edge projects like climate change research, Alzheimer’s treatments, and even algorithms to optimize business and research. 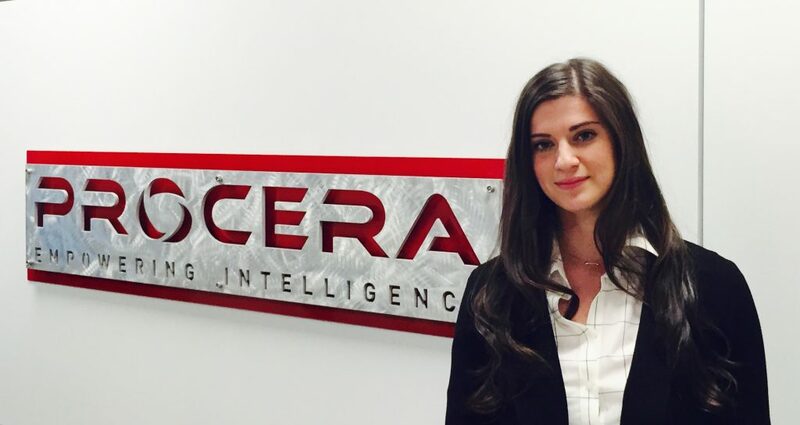 "UBC Okanagan provides you with a great education and excellent networking and relationship building opportunities. Developing those relationships helped me find an Honours Biology project that interested me, a great mentor (Svan Lembke), and the career that I am now in."